Hello Team Stryker fans! 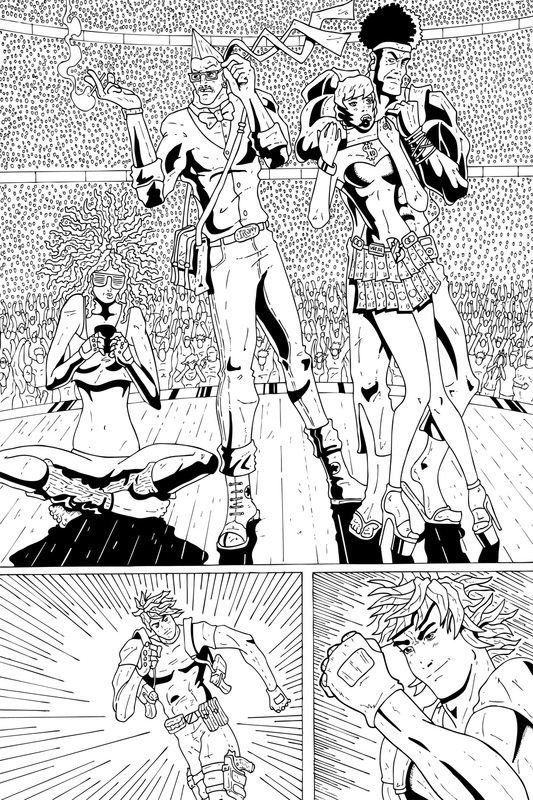 Thanks for tearing your self away from the madness that is E3 to check out the inks to page 13. If you’re anything like me you’re refreshing your gaming websites every 30 seconds to see what new bombshell Sony, Nintendo and Microsoft are dropping on us. Since the PS1 I’ve been a devoted Playstation fan but I like to think that I don’t just follow them blindly but because they put out the best system. I was worried on Monday that they would disappoint after Microsoft had a strong conference in the morning. It wasn’t until Sony stated that the PS4 would have no restrictions on used games, no DRM and was $399 compared to the Xbox One’s $499 price point. I didn’t see that coming but I was insanely satisfied. I was cheering on my couch as if I was there (I received strange looks from my girlfriend but it was totally worth it). What has been your favorite part of the show? Have a great rest of the week and I’ll see you all back here on Friday!